The inflammatory response, or inflammation, is our first line of defense against invading microbes and allows the body to heal itself after an injury. “When a wound swells up, turns red and hurts, it may be a sign of inflammation. Inflammation is—very generally speaking—the body’s immune system’s response to stimulus. This can be bacteria colonizing a wound or a splinter piercing your finger, for example. 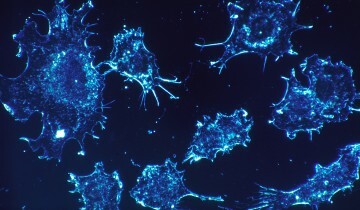 Inflammation happens when the immune system fights against something that may turn out to be harmful.” This type of inflammation, or acute inflammation, is usually beneficial, involves a variety of cells and messenger molecules, requires their cooperation, and is based on the precise coordination of events in which these cells and messenger molecules participate. For the study, researchers used mouse models subjected to bites by the Aedes aegypti mosquito, the species that spreads infections such as Zika, dengue and Chikungunya. When a mosquito bites, it injects saliva into the skin. The saliva triggers an inflammatory response in which white blood cells called neutrophils and myeloid cells rush to the site to help clear the damage caused by the bite and prevent the spread of microbes carried by the mosquito. The researchers injected either Semliki Forest virus (a mosquito-borne virus that is a close relative of Chikungunya virus) or Bunyamwera virus (a genetically unrelated virus that is also transmitted by Aedes mosquitoes) into the skin of mice with or without the presence of a mosquito bite at the injection site, and then compared the reaction. They found that, In the absence of mosquito bites and their accompanying inflammation, the viruses failed to replicate well, whereas the presence of a bite resulted in a high virus level in the skin. Thus, the researchers found that instead of helping, the inflammatory response facilitated virus replication. How? Swelling caused by mosquito bites retains the virus at the inoculation site and causes neutrophils to quickly migrate to the bite site. In turn, neutrophils coordinate a localized innate immune program that encourages the entry of myeloid cells. These myeloid cells are then infected by the viruses injected through the mosquito bite, and allow them to replicate. Thus, neutrophils inadvertently facilitate virus infection. My initial query after reading the article was why do we itch when mosquitoes (or any bugs really) bite us? From my understanding, itching is a part of the inflammatory response and a side effect of histamine release, in this case, in response to mosquito saliva. Histamine induces local vasodilation, which allows for the recruitment of immune cells and increased blood flow, as described in the passage. Histamine stimulates peripheral neurons as well, and we perceive these signals as an itch with the urge to scratch. As Mochizuki et al. (2014) summarizes, the action of scratching actually intensifies the inflammatory response and the perception of itch. Furthermore, scratching could potentially expose deep tissues to infection, though the article attributes “enhanced viral replication” largely to the mosquito bite and neutrophil/myeloid cell migration. In other words, did scratching affect the results, and if so, by how much? With the Olympics right around the corner, there is a lot of angst among athletes and tourists about Zika virus. The CDC actually reported NSAIDs (nonsteroidal anti-inflammatory drugs) are not recommended for suspected cases of Zika, as they may cause blood clotting issues and hemorrhaging if misdiagnosed. I am curious if the cream will work and about the extent it will limit viral replication. Currently, NSAIDs are a staple in the treatment of blood-borne parasites like Plasmodium spp. (which are transmitted by mosquitoes too), though they mainly reduce fever and general discomfort. Interesting approach on the topic of itching and why it occurs. I looked more into this aspect to find out if there is a way to stop infections through knowing the mechanism behind the itching. Once the mosquito bites and introduces its saliva into the skin, it elicits an allergic reaction to the saliva. This allergic reaction results in itching. In the article, “Roles of Mast Cells and Histamine in Mosquito Bite-Induced Allergic Itch-Associated Responses in Mice,” experiments were performed on naïve mice versus mice that were repeatedly injected with salivary gland extract (SGE) from Aedes albopictus. The results showed the mice that were repeatedly injected with the SGE injection displayed an increase in scratching than the naïve mice. In addition, serum concentrations were collected and it revealed that the total IgE and IgG in the mice that were repeatedly bitten by the mosquitos and injected with SGE were doubled compared to the naïve mice. From this study we can further conclude that as scratching increases inflammatory responses do as well. Unfortunately, these inflammatory responses are what increases the infection from diseases such as Zika and more. Moreover, the article mentioned that by using an anti-inflammatory cream it could help stop the infection from spreading. Yes, an anti-inflammatory cream could help but if the infection is spreading rapidly would the cream be enough to fight it? Have there been any experiments done showing the rate of infection decreasing due to an application of anti-inflammatory cream? Possibly, there could be a way to reduce the inflammatory response by targeting the itching caused by the allergic reaction. Ohtsuka, E., Kawai, S., Ichikawa, T., Nojima, H., Kitagawa, K., Shirai, Y., Kuraishi, Y. (2001). Roles of Mast Cells and Histamine in Mosquito Bite-Induced Allergic Itch-Associated Responses in Mice. The Japanese Journal of Pharmacology Jpn.J.Pharmacol, 86(1), 97-105. doi:10.1254/jjp.86.97. suggest that synthetic inhibitors of the coagulants contained in the saliva of a mosquito could not only combat the spread of viruses but could also suppress the body’s immune response. The common symptoms associated with a mosquito bite including bumps and itchiness, are caused by the anticoagulants released by the insect to prevent clotting during feeding. Understanding the mechanism as to how Anophelin, a powerful anticoagulant released by mosquitos, binds to and deactivates Thrombin, the enzyme that converts fibrinogen to fibrin causing clotting in the blood, enables researchers to synthesize new anticoagulants and their inhibitors. By producing inhibitors of the anticoagulants found in mosquitos, the immune’s response will weaken therefore limiting the spread of viruses and their hosts. It will be very interesting to see how multi-drug therapies evolve to control the spread of potentially life threatening diseases. Interesting post, which led me to rethink the composition of mosquito saliva. As Calvo et al. (2005) describes, mosquito saliva is composed of “antihemostatic, antiinflammatory, and immunomodulatory compounds,” in addition to proteins that, so far, have no demonstrable function. If we assume the primary function of mosquito saliva is to act as an anticoagulant (i.e. antihemostatic or antithrombin), that makes a lot of sense, in that, uncoagulated blood is much easier for the mosquito to extract. After reading the PNAS article, I concluded that anophelin, produced exclusively by Anopheles mosquitoes, acts as an anticoagulant in a novel mechanism. However, I did not see the correlation between that and immunosuppression as suggested above. As Yoshida et al. (2008) reports, synthetic inhibitors to anticoagulants found in mosquito saliva may actually be useful as therapeutic agents in cardiovascular disease, rather than immunosuppression. Furthermore, as Titus et al. (2006) summarizes, many blood-feeding arthropods already have immunosuppressive salivary proteins, which enhance the pathogenesis of parasites and viruses they may be harboring. This is confusing to me, since the main article suggests immunosuppression may actually limit viral infection. This discrepancy may be caused by factors such as the amount of foreign antigen introduced in multiple versus single mosquito bites, the severity of infection, and the host’s immune defense. In that regard, treatment options and potential treatment options (e.g. antiinflammatory creams, synthetic inhibitors to anophelin) would vary on a case-by-case basis. I am curious if we could actually make a vaccine for something like malaria, which directly affects half a billion people yearly, using the salivary gland and gut antigens of mosquitoes. Calvo E, Mans BJ, Andersen JF, Ribeiro JMC. Function and Evolution of a Mosquito Salivary Protein Family. Journal of Biological Chemistry. 2005;281(4):1935-1942. doi:10.1074/jbc.m510359200. Titus RG, Bishop JV, Mejia JS. The immunomodulatory factors of arthropod saliva and the potential for these factors to serve as vaccine targets to prevent pathogen transmission. Parasite Immunol Parasite Immunology. 2006:060222011842002. doi:10.1111/j.1365-3024.2006.00807.x. Yoshida S, Sudo T, Niimi M, et al. Inhibition of collagen-induced platelet aggregation by anopheline antiplatelet protein, a saliva protein from a malaria vector mosquito. Blood. 2007;111(4):2007-2014. doi:10.1182/blood-2007-06-097824. With no other knowledge, the presumed reaction of the immune system to an infection is that of an inflammatory response. This swelling of the infection site should work to fend off pathogens via the introduction of white blood cells. Interestingly, the synopsis by Dr. Roberta Attanasio of Clive S. McKimmie’s study on the spread of infection through mosquito bites (Host inflammatory response to mosquito bites enhances the severity of arbovirus infection) reveals that the immune system response goes against conventional wisdom; that is, the body, or more specifically the myeloid cells and neutrophils, facilitate the dissemination of the virus rather than prevent it. This finding can have a significant impact on the current pandemic that has affected populations worldwide, as McKimmie’s research involved the study of arboviruses and mosquitos, two key factors in the complexity of curing and preventing Zika virus. Although the study highlighted the benefits of applying topical anti-inflammatory creams to prevent the spread of disease, there are other factors at play that create challenges in this dilemma. The issue of global-warming and also the possibility of genetic mutations of both mosquitos and arboviruses might explain why the disease has continued to evolve. Other issues surrounding the cure of such diseases involve the economic-impact of new medical findings. For instance, McKimmie notes that it may be futile to develop “expense new medication” because the countries that are most susceptible to these viruses often cannot afford such medication. This may explain why these diseases tend to occur more prevalently, and spread more easily, in economically-disadvantaged areas. What might be a simple bug-bite in a 1st world country, can be a lethal event in a 3rd world country. This raises the question: if a drug can be produced to cure a global disease, how can science and society work side-by-side to eliminate this issue and provide wide-spread access to a cure? Reading this article reminded me of my nephew. He has been diagnosed with a rare syndrome known as wells syndrome, also called eosinophilic cellulitis. Only 80 cases are known worldwide and its etiology is not well understood to this day. The affected person would have inflammations, swollen body parts (areas closer to lymph nodes), rashes, edema etc…; most importantly, he/she will exhibit hypersensitivity to mosquito bite. Inflammation is a sign that our immune cells are battling some type of invader and eosinophil are known to promote inflammation at an infected tissue; thus there is an increased number of eosinophil in their blood, hence the name eosinophilic cellulitis. There seem to be an overlap between wells syndrome and the topic in this article. 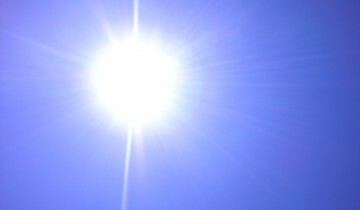 In my nephew’s case, symptoms appear once in a year and only during the summer time. Care givers have tried many things to come up with a reason as to why his symptoms only show up in the summer for four consecutive years. After reading this article, I would like to think that it could be caused by some type of mosquito born virus, one that only appears in the summer time causing a disturbance in his health. It could be that wells syndrome is caused by a mosquito born viral infection; maybe an infection facilitated by the immune response. Although our immune system is a well-established system that works impressively to protect our body, it is true that it works against us at times. As the article indicated, without the immune cells, the virus would not have been able to start an infection; this brings me to wonder if there is anything we could do to make our immune cells aware of these types of traps microorganisms utilize. Interesting post-Aisha, your idea that Wells syndrome is caused by some mosquito born virus is indeed correct because it is also found in dogs though is goes by Eosinophilic dermatitis. In the dog, this diseases leads to the hypersensitivity reaction to medication, arthropod bite, and most importantly foreign antigens. The collation of this disease to summer is also necessary for both humans and dogs in that we are more active and more outdoor during the summer and mosquitoes thrives during does period. Like you said our immune system is one of the main important channels for infectious pathogens in that viruses cannot function without the host cells, once a virus inserts its DNA into the host cell it then begins to multiple, and the accumulation causes the host cells commit suicide. After reading this article I wanted to dig into the response mechanism due to red, itchy feeling associated with mosquito bites which is linked to the inflammatory response which is triggered by the release of histamine by mast cells. Mast cells are important modulatory and immune effector cells which are known to link innate and adaptive immunity to fight against a pathogen; responding directly to the pathogen and sending signals for the activation of the innate and adaptive immune responses. In the article, it is shown that these immune cells are being used to facilitate the viral spread of the disease. After further research it was shown that mast cells may fail to function as immune guards early in the infection process and this plays a role in mediating susceptibility to the infection. The salvia that is released by the female mosquito allows for an inflammatory response that releases neutrophils and myeloid cells to the site of infection. However, this release of inflammatory responses may lead to the direct effect of mast cells appearing in less numbers due to the abundance of other inflammatory cells. Mast cells may decrease in number after the initial phase of mobilizing various inflammatory cells to site of infection leading to the viral spread of the disease even after the mosquito has injected the subject. Upon the development of an infection, the typical bodily reaction is an inflammation of the affected area. In an ideal scenario, leukocytes become introduced to the inflamed region thereby halting the spread of pathogens. However, Clive McKimmie’s research on the study of infections suggests that, in the instance of an inflammation resulting from a mosquito bite, that the presence of [arthropod] saliva can actually perpetrate the spread of a virus instead of thwarting it. A connection can be drawn between McKimmie’s findings and the existing global dilemma of Zika virus, as the latter can be spread via human contact with mosquitos. The research found that one potential method for treating such cases of infection would be the application of creams with anti-inflammatory properties. However, as simple as this solution may sound, the implementation of it on a world-wide scale has its own set of complications. One of the challenges of containing the spread of a virus, such as Zika, is the issue of genetic mutation of not only the mosquito but of the virus itself. Additionally, economic constraints due to the lack of availability of resources in down-trodden countries to purchase these medications create an additional layer of difficulty. The latter fact may offer enlightenment as to why insect-borne diseases appear to occur more frequently in certain parts of the world. 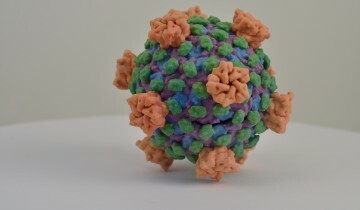 It can be said that the approach today of not limiting our study of such a pervasive issue from one perspective demonstrates that science understands the multifaceted aspects of disease; researchers not only focus on the virus alone as the only cause of a disease, but, instead, they examine other contributors to the problem, such as the carrier itself. Host’s inflammatory response is a double edged sword. While it shields the body from foreign pathogen by accumulating neutrophils and myeloid cells at the site of injury, it can also serve as a niche for growth of the viruses by boosting their replication potential inside the host, thereby facilitating infection. A mosquito bite may not just prove to be a simple itching reaction or the reddening of skin; it possibly could be an initial phase of preparing a passage for devil such as arboviruses inside the host. Thus a small creature like mosquito acts as a vector to carry another small but most dangerous organism to impound the human immune system which sometimes prove to be lethal. Although viral population grows transiently, once high titer value is attained, host becomes susceptible to infections. Once mosquito bites, viruses get their way to host through the saliva of mosquito that contains vasodilators which have immunomodulatory capacity to favor viral population. Host’s inflammatory response allows neutrophils to reach to the bite site. Neutrophils further coordinate with a local innate immune system to defense against infection to protect the body. This causes accumulation of myeloid cells at the infected site. Once myeloid cells reach the target site and get infected by viruses, the whole system starts working against its own cells and actually supports viral replication at the target site. As we now know that mosquito bite is responsible for many viral borne diseases such as Dengue fever, Chikungunya, Encephalitis, etc, the line of advice is that one should not disparage the power of these smallest creatures and should not ignore the itching and swelling caused after the mosquito bite. If necessary prophylactic measures are taken in the incipient stages of infection, one can avoid further calamities that might be on their way. Research is going on to target the components that are present in saliva of mosquito and developing a vaccine against these vasodilators. I think the work by Marieke Pingen et al. 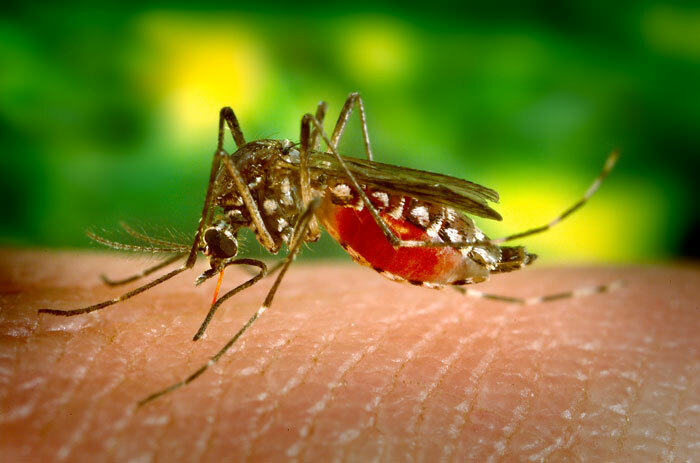 showing efficacy of antagonist to Caspase-1 such as Z-YVAAD-FMK in preventing viral infection through the mosquito bites is quite impressive and efforts such as these would prove to be beneficial in the battle of viral infection caused by mosquito bite. I found this blog post very interesting in that instead of the immune response fighting off the infection and preventing its spread, the immune response is facilitating the spread of the virus. It is not the virus itself creating the increased immune response, but the saliva of the vector (mosquito). This was shown in the comparison of rats injected with the virus who sustained the mosquito’s bite, versus rats injected with the virus who did not have the bite. 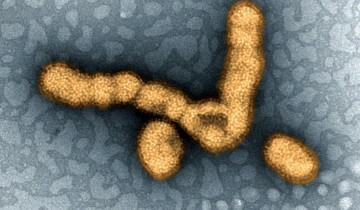 In the rats that were bitten, their viral load was higher than the rats that were not bitten. So therefore, it is the saliva that is creating the strong immune response that is recruiting more myeloid cells, making them susceptible to infection with the virions, and causing the virus to replicate and spread. The question here is what can be done to stop the spread of the virus. Targeting the immune system directly can be detrimental to us. Suppressing the immune system will facilitate the access of opportunistic pathogens, and render the host unable to properly fight off infections. Instead, could there be a way to target the saliva. What toxins or substances are contained in the saliva that are eliciting an immune response. If it was a certain toxin, could there be a drug or antibody established against the toxin itself? If the saliva was not creating an immune response, viral load could be decreased within the host, and spread of the infection would be slowed. Nature Education state that the saliva of the mosquito prevents the host’s blood from clotting, and eases the feeding of the mosquito. This ease of feeding allows the mosquito to continue to inject numerous viral particles, as well as saliva into the host. Targeting the saliva or substances within the saliva could help decrease the detrimental effects of the virus. Would anti-inflammatory creams stop the spread of the Zika virus establishing an infection? I believe If the Zika virus is piggy-back riding on the immune cell inflammation, then reducing inflammation has to decrease the infectious spread. How about an anti-inflammatory localized shot? I read this article which goes into anti-inflammatory abilities of macrophages which are being researched for use in wound healing. The study looks into using a localized shot to introduce modified macrophages that reduce inflammation. I think this would be an effective therapy for immunocompromised individuals. Also, people with immunological diseases would benefit by reducing the inflammation significantly. As stated in a comment above ‘the Olympics is very close in Brazil’ and just this morning officials told athletes to keep their mouth shut in open water due to the prominence of the Zika virus. The more preventable spread of Zika, the better for everyone, especially unborn children. I think this is yet another fascinating take on viral replication and microbial means of evading the immune system. I would like to see a study with West Nile Virus, and whether oral anti-histamines and topical anti-inflammatory creams would decrease the likelihood of central nervous system involvement and presentation, since WNV infection is prominent in many parts of the world. My first thought when reading this post lead me to ponder over Mycobacterium leprae, the etiologic agent of leprosy and how the bacterium uses macrophages to form protective granulomas so that it can spend more time replicating. The Macrophage is called to the site of infection, there to clean sweep the premises but little does it know that it will be facilitating the infection. Since Leprosy often affects the skin, could anti-inflammatories or steroidal creams perhaps enhance the current antibiotic treatment of M. leprae infection as well? This mechanism would be difficult since interaction with the bacteria doesn’t necessarily produce a reaction such as swelling, however if a person were to come into contact with an animal carrying leprosy or had prolonged contact with an infected person could perhaps apply the cream to the area that made contact. It would seem that the cream could perhaps deter immune cells (including macrophages) from getting to the site, and an antihistamine could also contribute to this by preventing vasodilation and migration of previously mentioned immune cells. If the immune cells never reach the site of infection, perhaps the finicky bacterium wouldn’t survive.